Sick of seeing panels at conventions and conferences made up entirely of white men? So are the people at online gender discrimination watchdog Gender Avenger, and they've created an app for SXSW that will let you name and shame the panels that didn't bother to give women a voice. Where's the "I just want pizza" option? Yes, the above video's after-school-special vibes might undermine Good2Go's awesome potential, but the more knowledgeable we can be of our partners' sobriety levels or enthusiasm, the better, right? Farts have so much to teach us. In a silent but deadly attempt to get children—or adults who understand good comedy—to pay attention to nutrition labels, Fart Code reads barcodes and translates all that boring talk about "calories" and "ingredients" into terms that resonate with us: fart power. Actually, the sound of our planet would probably just be loud sobbing. Treat the Earth nicer, everyone. It's Earth Day! That means that today, out of all the days in the year that our giant, natural spaceship graciously turns us to face the sun and makes our entire existence possible, we will give a little back and try to do something nice for the Earth. If you're looking for a way to pitch in, you can help document the fleeting sounds of our planet. I always knew Windows Phone would destroy society as we know it. Reddit set out to make Community's society-collapsing ratings app, MeowMeowBeenz, a reality, and that dream is one step closer now that you can actually download the app for your phone. Right now, it's a proof-of-concept app that shows off the UI and function, but the ratings system support on the backend is coming just around the corner. Quick, someone get the mustard. Are you Five material? You're going to find out, because a software engineer on Reddit wants to make Meowmeowbeenz, the people-rating app from last night's Community, a reality. What, you didn't know they'd already built an entire Meowmeowbeenz subreddit in the time since the episode aired? Get with it, Newbeenz. The levees will never break again. We would say, "it's the best thing ever!" but we're afraid of what it would replace that with. We might as well just come to terms with the fact that Upworthy-style "You won't believe what happens next!!!" kind of headlines are the wave of the future. I mean, even CNN's doing it now. Best just accept it and move on, right? Or we could filter them out with honest headlines, of course. That's where the new Downworthy app comes in. This is probably the closest your face will ever get to Matt Smith's face. Enjoy. BBC now has a Facebook app that will help you rally your companions together for your Doctor Who 50th anniversary celebration. All you have to do is head over to the app on Facebook, and you can have it insert a picture of you into video of the Doctor Who opening titles for a web-based invitation to celebrate the anniversary. We thought the point of the Internet was not waiting in lines. It's a great day for BlackBerry users, as their beloved BBM proprietary messaging service has finally gone cross-platform. We tried to take the iOS and Android versions for a spin, but demand for accounts on the service is supposedly so high that there's a virtual line. Yeah, we were surprised, too. River Song will be so disappointed. Back in the day (which day isn't important), you used to have to watch TV shows when they aired or you'd miss them entirely and wouldn't be able to talk about them the next day. Now if you don't watch them when they air, nobody will be able to talk about them the next day -- because they'll all be worried about spoiling you. Well, not anymore with the Unspoiler app! "Want to win someone back? There's an app for that." Let's briefly pretend that this isn't a truly, truly horrible world in which people have decided that it is in fact too hard on our poor thumbs to type out a breakup text by ourselves. Now you can despair all over again: there's an app to win back someone's heart: the (briefly free) MakeupText. Being the head of any government isn't exactly an easy job. When it comes down to it, leaders have to make decisions based on the best information they have available to them at the time. If that data proves to be faulty or somehow outdated, they can get reamed for making the wrong call. Thank goodness there's apparently an app for that. David Cameron, Prime Minister of the United Kingdom, has been using an app on his iPad to keep track of real-time data on stuff like housing and jobs. As it turns out, being the most technologically advanced national cemetery is something that national cemeteries apparently aspire to. 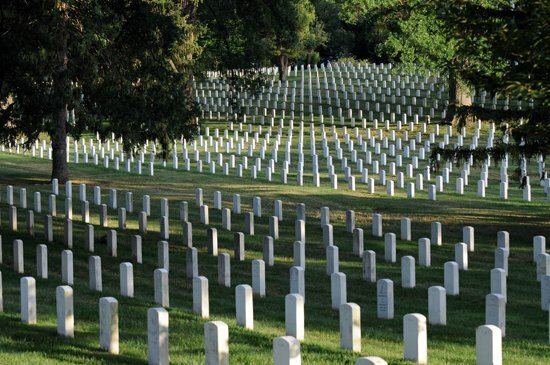 That's what Arlington National Cemetery would have us believe, anyway, and that they're definitely top dog when it comes down to it. Part of this advancement includes the release of a smartphone app to help visitors track down specific graves. It even includes pictures of each and every headstone. Welcome to the future of the dead. Uber, the folks behind the glorious on-demand car service app that operates out of San Francisco and other cities, has officially shuttered their taxi services in New York City after just over a month of operation. Their more expensive black car service will continue to operate unimpeded, but their attempt to recruit the more traditional yellow taxis to the fold has failed for now. 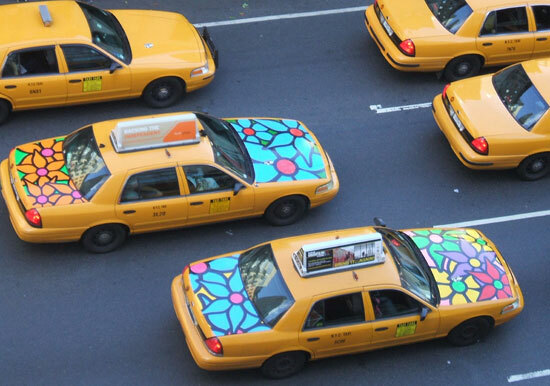 New York's Taxi and Limousine Commission's legal hurdles proved to be too much. For anyone that has children, Netflix's "Just for Kids" portal can truly be like a gift from above. The treasure trove of kid-friendly shows available dwarfs just about any other offering. This portal, unfortunately, has been mostly confined to the television via consoles or the web. There was no good way to have them watch their shows without occupying at least one major screen -- and therefore the entire room with the screen -- in the process. 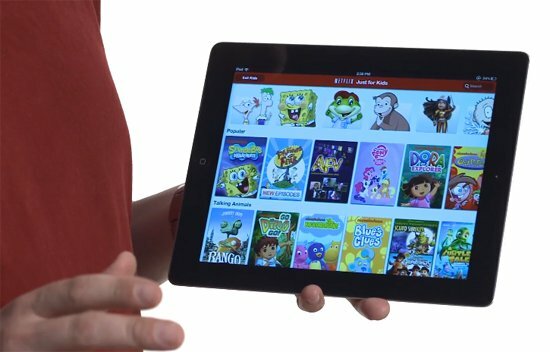 That time has come to an end; Netflix has finally launched "Just for Kids" on the iPad. For those that haven't been following along, Apple's iOS 6 removes the standard YouTube app that everyone previously had available to them on their homescreen. This was, apparently, a big deal for everyone that religiously checked for the latest Epic Rap Battles of History via their phone. 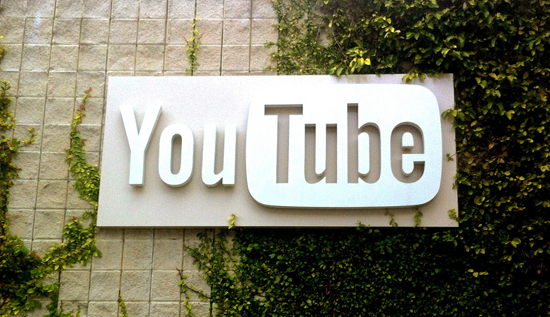 Luckily, Google quickly noted that they'd be releasing their own standalone app for the formerly standard service. Today, that app has finally been made available. 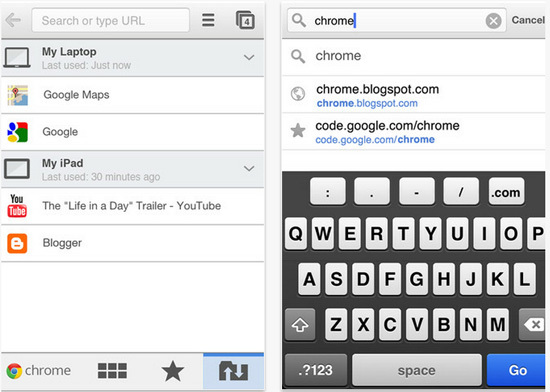 Chrome for iOS Shoots to Number One App in One Day, But is it Any Good? At Google's I/O conference yesterday, the company announced that an iOS version of the much beloved Chrome browser would be available in the app store. 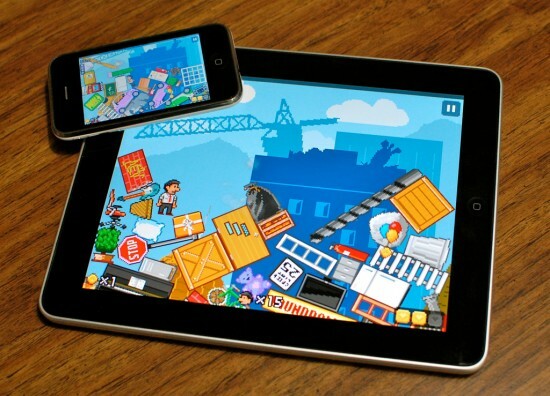 Released several hours later, the app quickly became the most downloaded app on the store. However, if you're expecting the lightning-fast desktop browsing experience you've come to expect, you might be disappointed. If you just can't keep up with what Mars is doing these days due to the hustle-bustle of your awesome, exciting, too-busy-for-Mars lifestyle, has NASA got the thing for you. 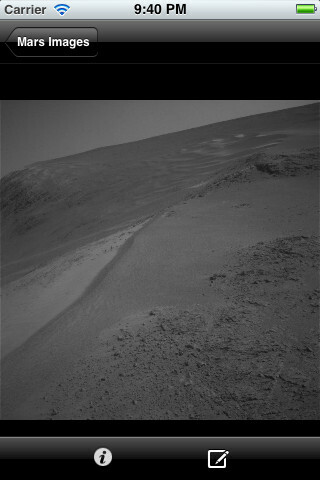 Presenting: An iPhone app that sends new pictures of Mars directly to your phone, so you can still be that amateur Martian hunter you've always wanted to be, while being an adult and grabbing a coffee on the way to do spreadsheets at the office. While the controversial Stop Online Piracy Act, or SOPA, continues to snake its way through Congress, some citizens are attempting to take their concerns to the companies which support the legislation. For instance, a recent boycott of GoDaddy resulted in a surprising about-face for the company. However, the designers of the Boycott SOPA app for Android want to take it a step further. Using the app, shoppers can quickly weed out products from companies which have thrown their support behind SOPA.